Volketswil, Switzerland:- In mid-November, Hapa will attend the InPrint Industrial Print Show in Munich, to demonstrate the Universal LP premium print quality for precision flexibility with fast production throughput. Hapa Ink will be present to discuss their innovations and advances in low-migration inks. At InPrint Munich, running from 10 – 12 November, Hapa, at stand D61 in hall A6 of the Muich Trade Fair Centre will feature Hapa’s Universal Label Printer. The Universal LP, the fully digital, UV DOD piezo inkjet system for high-precision inset printing, is ideal for the CMYK, or spot-color, plus white printing on blank or preprinted roll-fed substrates, including transparent materials. The system prints web material up to 340 mm in one to six colors at a maximum speed of 54 meters per minute. Thanks to its adjustable web-tension control, printed materials leave the machine production ready. Its modular concept allows for the addition of components and options, accommodating needs-based upgrades. 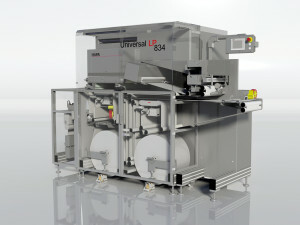 In addition, the Universal LP has a remarkably small footprint. Hapa Ink develops and produces individual inks designed to exact client specifications for all foil substrates, plastic, glass, aluminum, or labeling material of any kind. Orders for any volume of ink, no matter how small are catered to. Hapa Ink products will be showcasing its top printing qualities on the Universal LP. Hapa’s printing systems are developed and produced at its base near Zurich, Switzerland. Hapa also has presence in the USA, UK, Germany, India, Mexico, Brazil and Japan, employing some 170 people in all. There are more than 2,000 Hapa machines in service in more than 50 countries worldwide. Click on Hapa Heads to Munich with the Universal LP for other information. 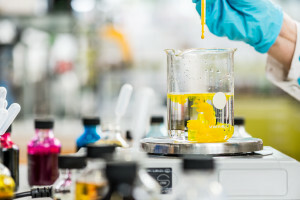 Hapa Ink develops, produces and delivers inks customized to application, substrate and volume needs.